Wealth Transfer is the transfer of wealth or assets to beneficiaries upon the death of the owner through financial planning strategies that often include wills, estate planning, life insurance, or trusts in a tax efficient manner. ​Watch our video to LEARN How to Shield YOUR HEIRS FROM THE "TAX TIME BOMB"
Today, you have many types of products from which to choose that will work: Universal Life, Indexed Life, or Whole Life. Since most of the inheritors are in the middle class, they are not candidates for and don’t need sophisticated estate planning. However, whether or not estate taxes will be a factor in your wealth transfer planning, income taxes can have a huge effect. Single Premium Life products take advantage of current tax laws. They provide you (the insured) with a lump sum of money to increase the size of your estate and then pass the proceeds – federal income tax-free – to your heirs while bypassing probate! IS SINGLE PREMIUM LIFE RIGHT FOR YOU? If you are between the ages of 60 and 85 with money set aside and earmarked for future generations, you may be an ideal candidate for Single Premium Life. If you are somewhat conservative and prefer guarantees rather than assumptions, you are also an ideal candidate. Since Single Premium Life is life insurance, you should be in fairly good health and be able to meet underwriter requirements; however, many of these products are called “simplified issue” and do not require a medical exam. . When you’re considering a Single Premium Life product, you should use monies that you don’t need right now. Therefore, ask yourself one simple question: “What’s the purpose of the money I have accumulated right now?” If you intend to pass on all or part of that money to your kids, grandkids, or church, then you may be a candidate for Single Premium Life. If you have money in CDs, a passbook savings account, or fixed annuities, you may be a good candidate. If you have money that you don’t use because you have other sources of income (such as CDs that you roll over year after year), again, you’re a possible candidate. Here are a few other considerations: Interest on CDs and passbook savings accounts are taxable each year, and they reduce your legacy to your heirs. 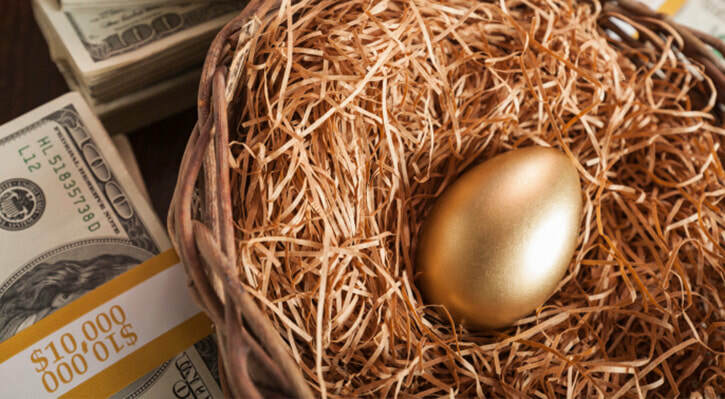 Deferred annuities earmarked for your kids’ inheritance also include a tax time bomb that could really disrupt your heirs’ income tax situation. You see, annuities are usually designed to provide lifetime income for you, not to facilitate wealth transfer for your heirs. Therefore, monies you leave to your beneficiaries from an annuity are fully taxable, meaning the longer the annuity accumulates monies, the more taxes your heirs will pay! Furthermore, since these taxes are calculated based on your heirs’ tax bracket, which may be higher than yours, your heirs’ taxes could be significant. For those people who do not need to use all of their money for their own income (living expenses, etc. ), Single Premium Life can eliminate those taxes. 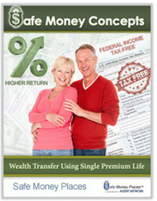 ​Do You Want Help Creating Your Very Own Wealth Transfer strategy?